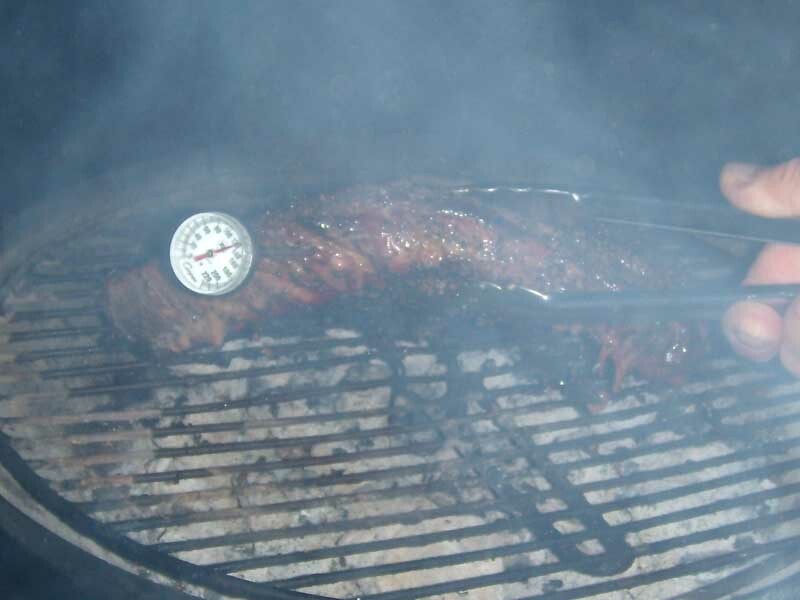 Cap'n Ron's Big Picture of Taking the Temperature of a London Broil. The only way to insure how done a piece of meat is, is to take it's temperature. NEVER cut into it, or you'll be letting all of the juices run out.